Considering most days you’re either at school or work, it makes sense that the majority of your jewelry collection should be suitable—and subtle enough—for everyday wear. Whether you prefer stud earrings or dainty rings, we curated 13 understated pieces you’ll feel comfortable wearing 24/7. Scroll through to find pieces that’ll refresh your jewelry box! This dainty knot ring is understated but still interesting. Why wear a single diamond stud when you can rock three? 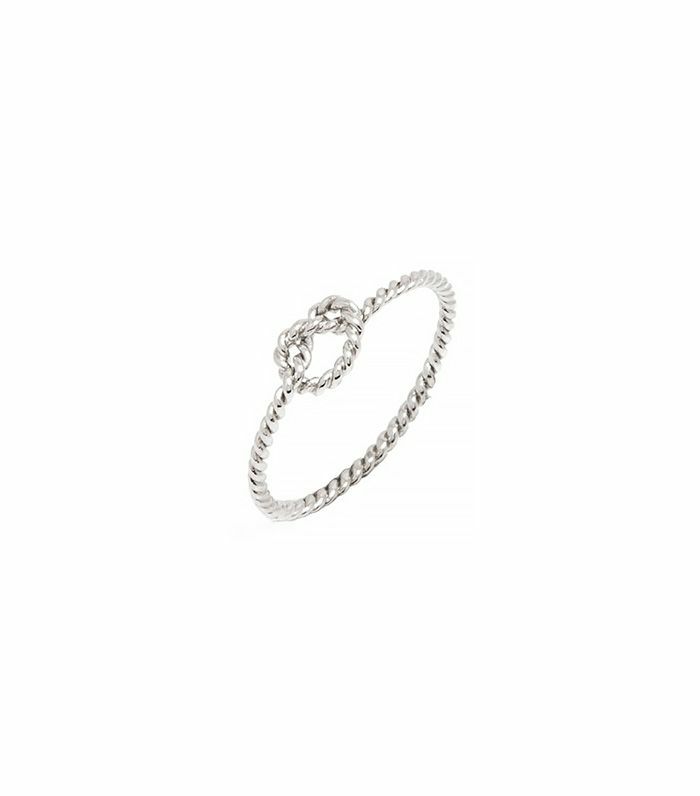 This sleek bangle can be worn on its own, or layered with other bracelets to make a stackable statement. 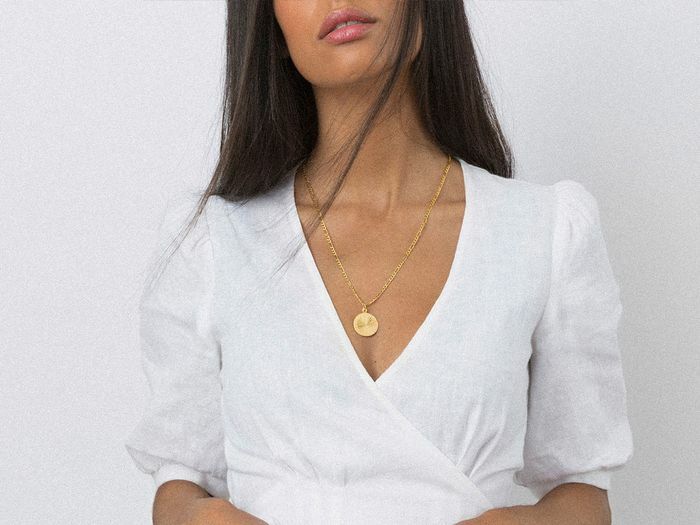 Invest in this barely-there chain necklace for instant elegance. How stylish is this linear take on the classic stud earring? Get this customizable ring in your birthstone! These tusks may be tiny, but they make a majorly cool statement. Wear this thin collar necklace with a button-down shirt to up the ante of a professional look. 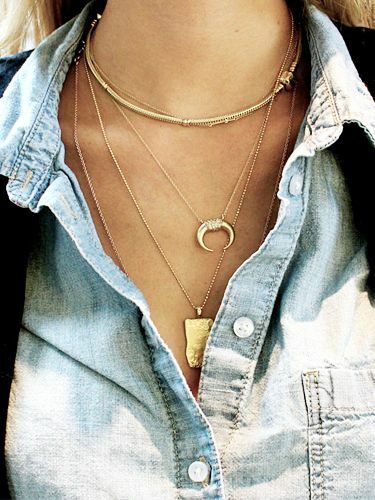 Shop more gold necklaces here. These shiny studs are a playful addition to your jewelry collection. Meet the grown-up version of a friendship bracelet. This classic David Yurman chain looks stunning layered with a dazzling pendant. Add a little edge to your arm party with this open-face cuff. This lightweight feather bracelet lends a bohemian element your accessory game. 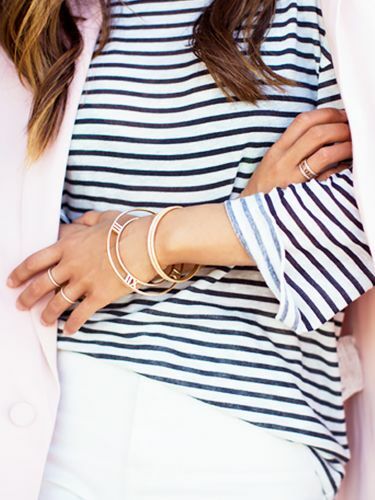 Do you have a signature jewelry look? Tell us about it in the comments below!